What requirements do companies and organisations have for expertise development within AI? How should such education be designed? Commissioned Education at LiU has held a one-day workshop on artificial intelligence. Around 50 participants from companies, organisations and universities gathered to discuss expertise development within AI. 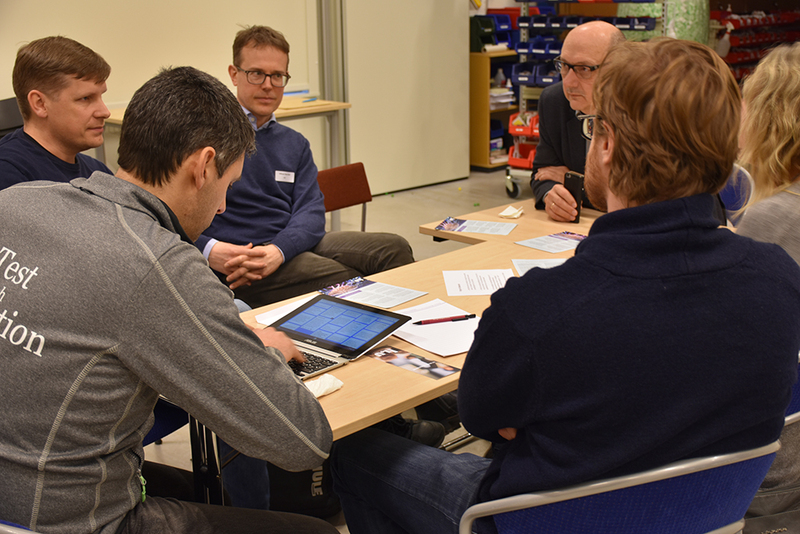 The aim of the workshop was to forge contacts between researchers from Linköping University and representatives for companies and organisations in the public sector, and give them the opportunity to discuss and identify possible future commissioned education within AI. The workshop also presented seven new courses within the field of AI that will be given at LiU for the first time in 2019. One of the participants was Magnus Ranlöf from Sectra Imaging IT Solution AB. He is head of development for IT systems within medical care, and realises that AI is a necessary and growing field within the domain. How would you benefit from courses in AI? “We are experts, but most of our employees are not knowledgeable in AI. I’m convinced we need to learn more, and it’s here that commissioned education can play a role, as an additional way of exploiting the expertise at LiU. The subject of AI in itself attracted Jan Sjunnesson, senior advisor for education at Combitech, to the workshop. Sabrina Thelander, head of LiU Commissioned Education is satisfied with the results of the workshop. The purpose of the workshop was to provide the participants with more information about the university’s research within AI, and to enable researchers and the personnel at LiU Commissioned Education to learn more about the requirements of the participating organisations.